Home>General Info>What is Addiction ? Addiction is a dependency on any substance to such an extent that it has detrimental effects on a person’s health. There are many types of addictions namely, alcohol addiction, drug addiction and addiction on a number of club drugs or substances that have a disapproval over their use. A large number of pharmaceutical drugs also fall into this category. Of all the substances mentioned above, street drugs have more serious and fatal addiction and continue to affect a large portion of Canadians. Drug rehab centers in Canada work to help people get rid of the drug dependency. There are many types of drugs such as, cocaine, marijuana, heroin, methamphetamine and a host of club drugs that have a devastating effect on people’s physical, emotional and psychological health. Club drugs or ecstasy (MDMA) is extremely popular among college students. Other than MDMA, GHB, ketamine, PCP and steroids are other popular club drugs. Drug rehab centers in Canada provide addiction treatment to drug addicts and strive to help them develop a long term abstinence from drugs. A complete rehabilitation involves an improvement in the physical and emotional well being of the user, so that the chances of relapse are minimized. 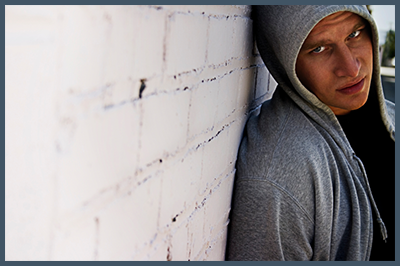 Programs for recovery and treatment methods are developed to help the addict get his life back. One of the most common types of drug abuse in Canada is that of prescription pain killer drugs like Oxycontin, Oxycodone, Morphine and Dilaudid. There are two avenues to prescription drug abuse. One is the legal user who is given one or more prescriptions to combat a medical problem but gets hooked on the painkiller (or other prescription drug). Eventually he no longer needs the drug for medical reasons but has become enamored of the good feelings it gives him and craves that high. The person may turn to illicit sources to obtain more of the pills even after his doctor no longer deems the pills necessary for medical purposes. Or he may engage in “doctor-shopping,” visiting plural doctors and faking a complaint in order to get more prescriptions. The other avenue is people obtaining pills strictly for recreational purposes. They, too, may doctor-shop, faking pain (or other medical conditions) in order to obtain prescriptions, or they may go right to “the street” and buy their supplies from drug dealers.